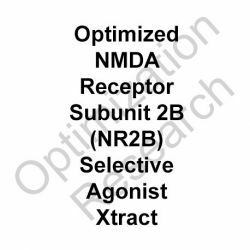 SNRB-OX is a proprietary Optimized Xtract Scientifically Engineered Selective NMDA Receptor Subunit 2B (NR2B) Low-Efficacy Weak Partial Agonist with Functional Antagonist activity. Research Indications: antidepressant, anxiolytic, neuroprotectant, neuroregenerative, and congnition enhancement research. 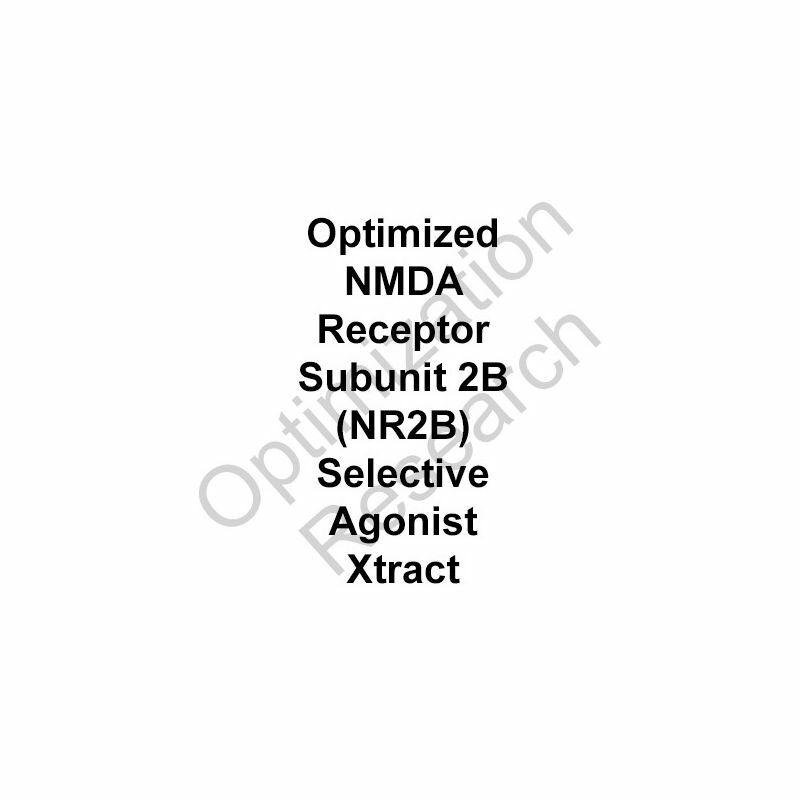 SNRB-OX is a highly selective selective NMDA receptor subunit 2B (NR2B) functional antagonist (technically a low efficacy very weak partial agonist, IA = 7%) demonstrating a half-life of ~12 hours. In solution. Further dilution via ethanol/alcohol and/or glycerine is viable. Pronounced and rapid onset of effects are seen demonstrated within animal antidepressant models and anxiolytic models. Demonstrates equivalent efficacy and >1000% potency as assayed against CERC-301 as the reference standard. No adverse effect or behaviors were demonstrated within all models assayed. LTP was markedly enhanced at therapeutically relevant doses. Markers for cognition, learning, and memory enhancement are demonstrated at these doses, whereas higher doses yield an impairment of such. SNRB-OX is theorized to display in future clinical trials rapid prolonged/long-acting antidepressant effects on par with ketamine, but with no psychotomimetic effects. Potential dose arms are to be at 0.125, 0.250mg, and 0.500mg, per day via any orally viable format with indication to administer the dosing at bedtime. Within all factors it appears to demonstrate potential to express highest potency, efficacy, and therapeutic index (safety and minimized adverse effect potential). Sublingual dosing would appear to require ~50-70% of oral dose. Cognitive enhancement is also preceived to be a benefit within neurogenerative, neuroprotectant, and neurogenic capacities. We are very pleased to have finally completed refinement and production of a very highly pursued SEP-OX Optimized Xtract SNRB-OX. This Xtract was screened for and developed within the goals of providing a potent, high efficacy glutamatergic modulating agent that affords the positive neurological effects as seen with Ketamine, but with no potential for any adverse effects or psychotomimetic effects. Such agents of this class foster a marked increase in BDNF and work via potent BDNF pathway signaling modulation. One main benefit this pathway fosters is rapid and potent synaptogenesis. This affords a potent means to restore superior functionality to the brain in many core aspects. Within that, SNRB-OX demonstrates in animal models assayed for such, the benefits of sound rapid-acting antidepressant efficacy, cognitive enhancement efficacy, and neuroprotective efficacy. Assays within mice models showed an effective dose range of 0.075mg/kg to 0.125mg/kg per oral administration within all models assayed as relates to assessing the efficacy for the given challenges. Potentials for future human clinical trials would suggest dosing at 0.5mg to 1.5mg q.d. From all appearances this appears to have potential to be a breakthrough highly potent, rapid-acting, ketamine-like antidepressant with minimal potentials for any adverse effects of any nature; devoid of such potential adverse effects as seen as intrinsic with ketamine, analogues thereof, and most all NMDA antagonist directed agents of this class. Within that, such appears to potentially afford a most potent therapeutic efficacy and a highest degree of therapeutic index. Notably, potent neuroprotective and cognition enhancing benefits are as well demonstrated, as expected as within what is seen indicated as to benefits from agents with this profile. The case for selective NMDA glutamatergic modulation for promotion of BDNF signaling and strong therapeutic efficacy within the spectrum of depressive disorders and related psychoneurological disorders affected by atrophy of synaptic 'tone' and related cerebroatrophy is more fully elaborated upon as related herein. I.) It has therapeutic effects as an acute treatment (single administration), whereas traditional antidepressants require repeated administration to produce therapeutic effects. II.) It has fast acting therapeutic effects (within 24-48 hours) as opposed to traditional antidepressants, which usually take 6-8 weeks to produce amelioration with similar rates of symptomatic relief. III.) It has been shown to ameliorate symptoms of monoamine treatment resistant depression. Synapse atrophy is a morphological landmarks of depression within the prefrontal cortex (PFC) and the hippocampus. A circuitry impairment leading to impaired neurocomputation. Among others, PFC function underlies flexible adaptive behavior, suppression of "thoughtless" emotional response and goal oriented recollection of memories. Depressed PFC and hippocampus computational power may blunt the capacity to learn new adaptive behaviors to overcome negative circumstances (e.g. learn new abilities to get a better job), lose control over subcortical short term coping behaviors (e.g. suicide, alcohol abuse) or redound on spontaneous intromissions of negative memories (e.g. selective memory for failures) and so forth. Apoptotic and long term depression signaling. BDNF is thought to be the main responsible for the long-term neuroprotective effects of NMDAR activity (for review see Georgiev, Taniura, Kambe & Yoneda, 2008). BDNF-TrkB activity has been shown to activate CaMKII/IV, Ras/ERK and PI3K/Akt pathways promoting protein synthesis independent (e.g. BAD inhibition, presynaptic vesicle docking, NR2B phosphorilation...), translation dependent (e.g. PSD-95, NR, Arc, α-CaMKII...) and transcription dependent (e.g. CREB, c-FOS...) synaptic plasticity and neuroprotection. BDNF has been shown to enhance memory and its dishomeostasis implicated in neurodegenerative and neuropsychiatric disorders as well as in normal ageing. A therapeutic limitation of ketamine are its dissociative effects and its potential to mimic psychotic-like symptoms during substance abuse. Ketamine is a non-competitive NMDAR channel blocker but studies have shown that selective NR2B subunit NMDAR antagonists also sustain antidepressant effects (e.g. Maeng et al., 2007). Along these lines, the NR2B antagonist CP-101,606 was shown to profile the effects of ketamine in treatment resistant major depressive disorder. Howbeit, it did have dissociative effects shortly after administration which, nonetheless, were followed by remission (Preskorn et al., 2008). 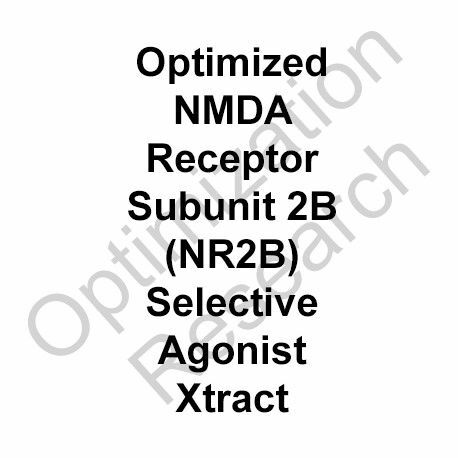 Alternatively, another NR2B subunit selective antagonist, MK-0657 (now CERC-301), was seemingly dissociative free in a small study in humans with treatment resistant major depressive disorder (Ibrahim et al., 2012 ). CERC-301 is in second phase clinical trials as an antidepressant. Therein, within agents that modulate the glutamatergic system in a like manner, but do so in a manner devoid of dissociative activity,are seemingly at this juncture the most optimized agents for potent and rapid-onset alleviation of the symptomatology of depression, in particular especially treatment resistant depression and 'complex', major depressive disorders. SNRB-OX SEP-OX Optimized Xtract is a first-in-class extract that fulfills this criteria and exhibits a highest degree of therapeutic index, as is within the goal of all SEP-OX Optimization Research. Georgiev, D. D., Taniura, H., Kambe, Y., & Yoneda, Y. (2008). Crosstalk between brain-derived neurotrophic factor and N-methyl-D-aspartate receptor signaling in neurons, (November), 17–27. Ibrahim, L., DiazGranados, N., Jolkovsky, L., Brutsche, N., Luckenbaugh, D. A., Herring, W. J., & Zarate Jr, C. A. (2012). A Randomized, placebo-controlled, crossover pilot trial of the oral selective NR2B antagonist MK-0657 in patients with treatment-resistant major depressive disorder. Journal of clinical psychopharmacology, 32(4), 551. Preskorn, S. H., Baker, B., Kolluri, S., Menniti, F. S., Krams, M., & Landen, J. W. (2008). An innovative design to establish proof of concept of the antidepressant effects of the NR2B subunit selective N-methyl-D-aspartate antagonist, CP-101,606, in patients with treatment-refractory major depressive disorder. Journal of clinical psychopharmacology,28(6), 631-637. Schepisi, C., Sabatini, D., & Nencini, P. (2014). Neurobiological substrate of ketamine- induced antidepressant effects Clinical evidences on the potential antidepressant activity of ketamine, 55–60. Supplied in hydroalcoholic solution - dilution as desired optimum with ethanol and glycerine.